DEEX (DEEX) - Events, Price, Market Cap, Supply, Exchanges and more! 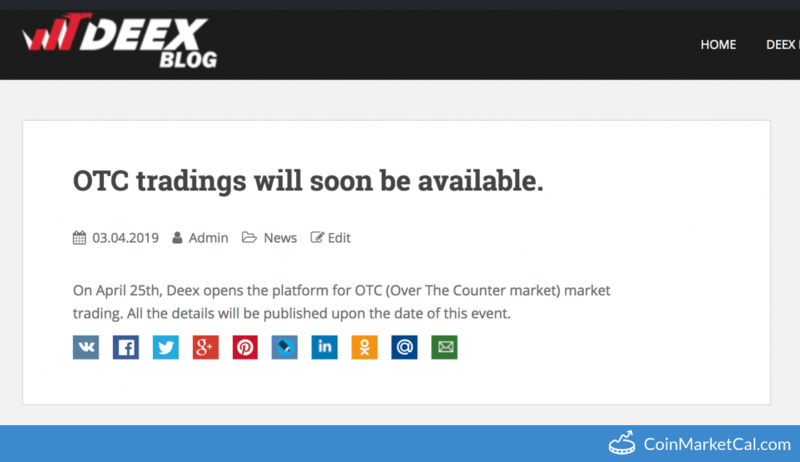 "On April 25th, Deex opens the platform for OTC (Over The Counter market) market trading." 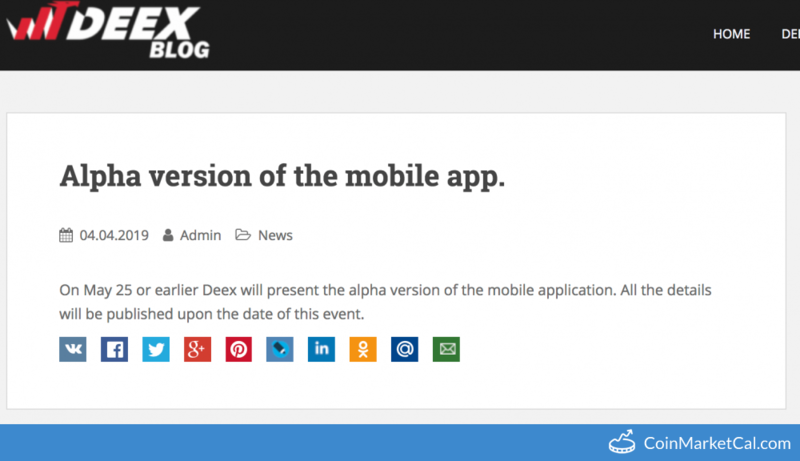 "On May 25 or earlier Deex will present the alpha version of the mobile application." 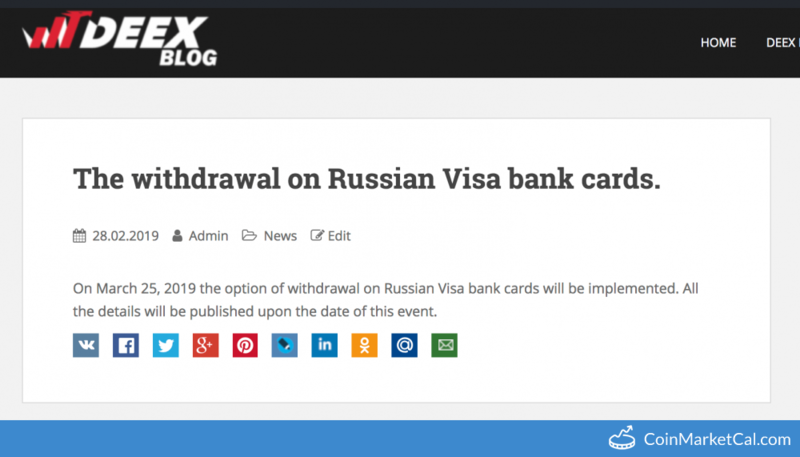 DEEX implements option of withdrawal on Russian Visa bank cards. 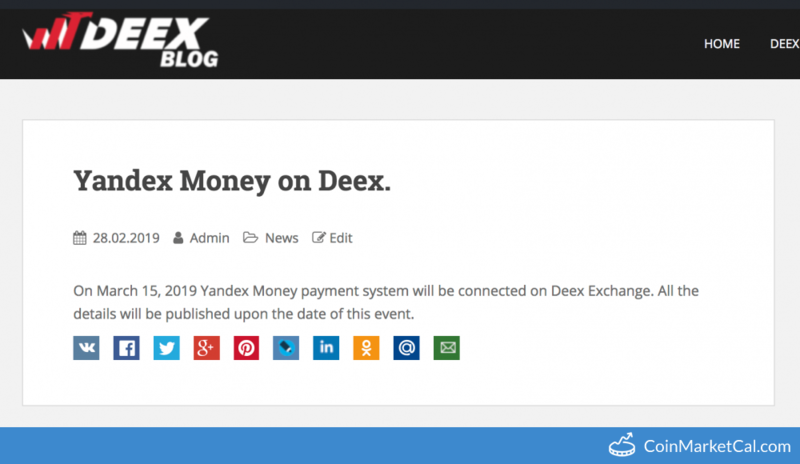 The Yandex Money payment system will be connected on Deex Exchange. 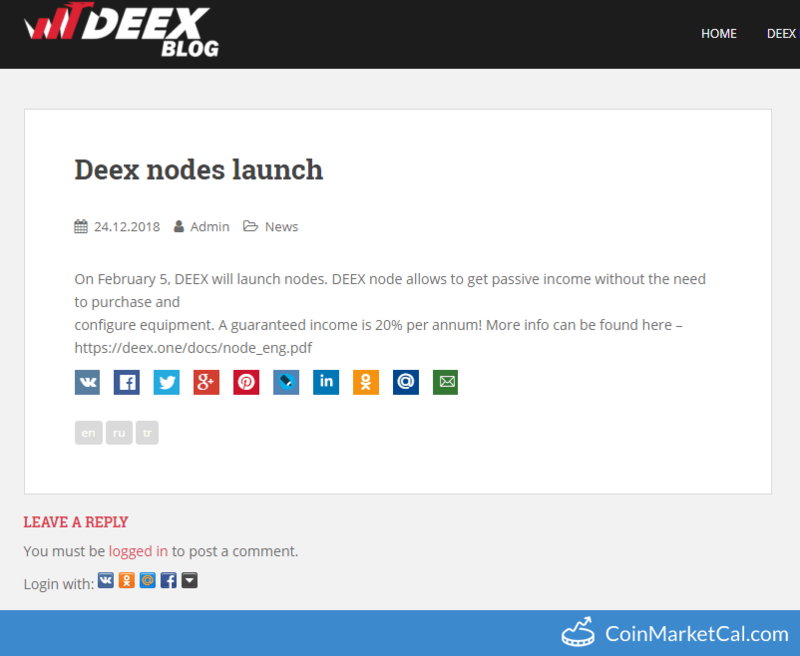 On February 5, DEEX will launch nodes. 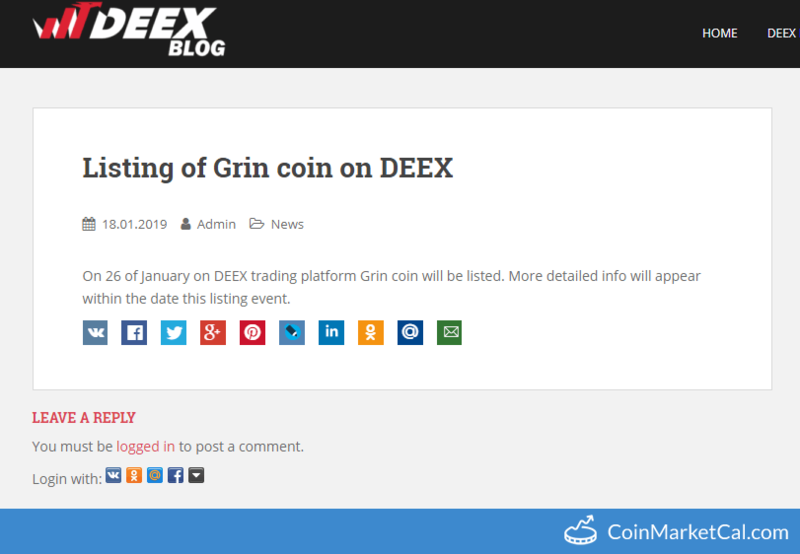 Grin coin will be listed. 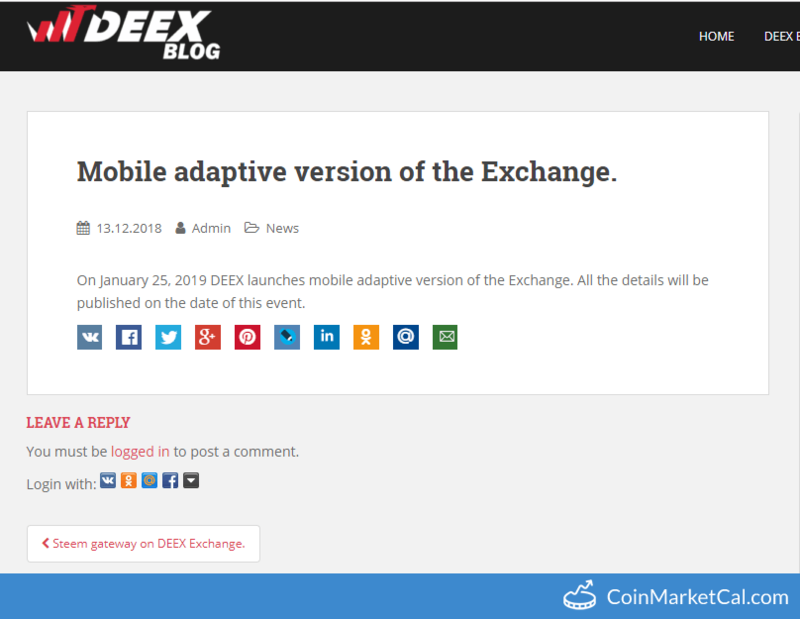 On January 25, 2019 DEEX launches mobile adaptive version of the Exchange. DEEX launches the functionality of stealth transactions. 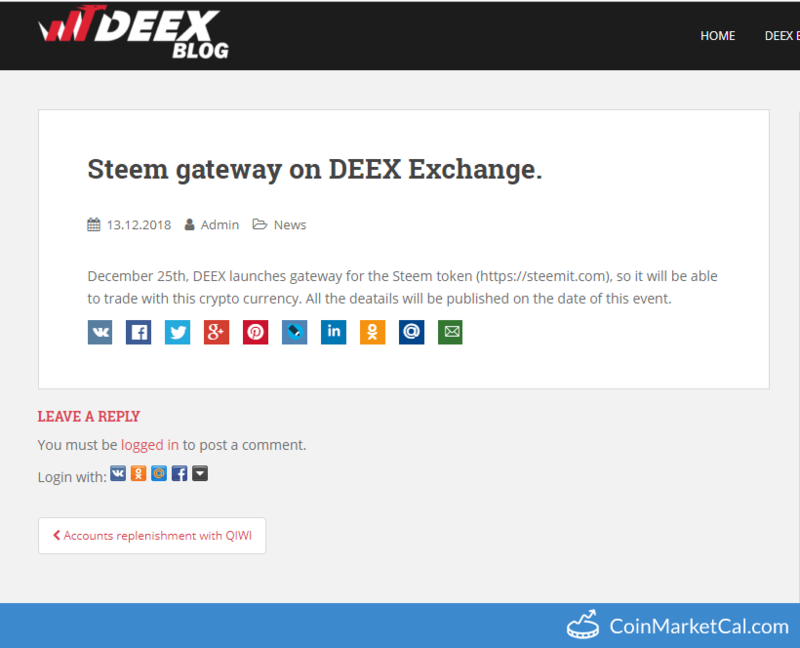 December 25th, DEEX launches gateway for the Steem token.